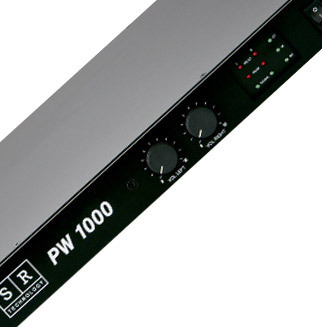 One rack units with unbalanced Jack inputs, mono / stereo and input link switches. Hi-Fi terminal outputs. Designed to be used in stereo, 2 channels 2x75 Watts 4 ohms, mono 4 channels 75 Watt 4 ohms and bridge 4 channels 150 Watt 8 ohms. 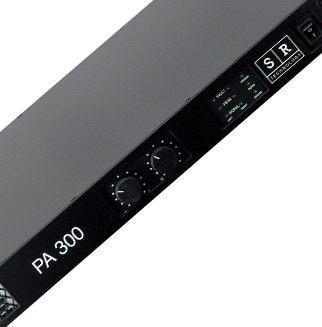 Two rack units with balanced XLR inputs, mono / stereo and input link switches. Hi-Fi terminal outputs. 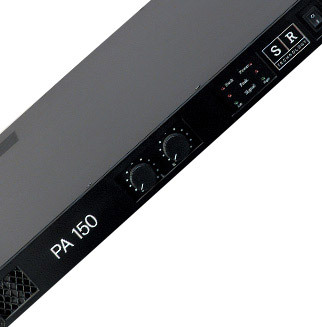 Designed to be used in stereo, 4 channels 2x150 Watts 4 ohms, mono 8 channels 150 Watt 4 ohms and bridge 4 channels 300 Watt 8 ohms. 1 rack unit. Balanced XLR inputs. Speakon outputs. Stereo 2x500 Watts 4 ohms power. Bridge 1x1000 Watts 8 ohms power.